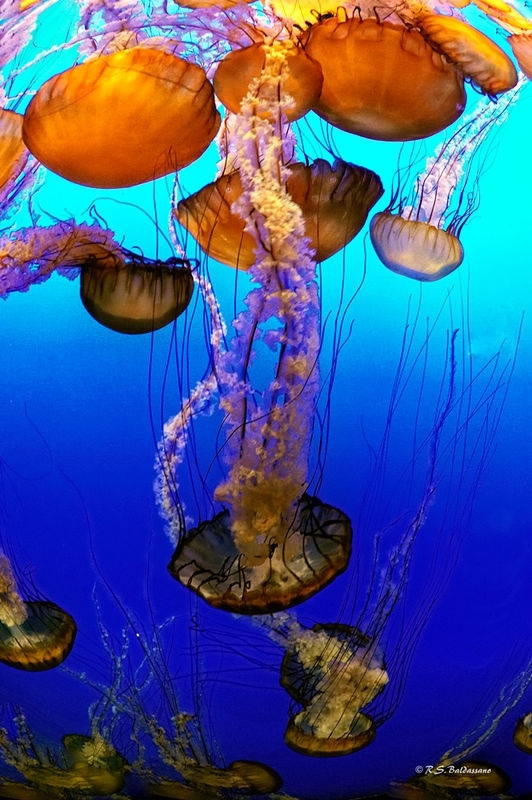 I went to the Monterey Bay Aquarium in California on Wednesday as I had not been there since I got my D700 to replace my D200 as my main camera. I was shooting mainly with my 35-70 f/2.8 and my 200mm f/4 Micro Nikkor, but decided to try out my 16mm fisheye (what better lens to shoot fish with than a fisheye?). This shot was taken by holding the lens up against the display tank glass and shooting away. D700 with 16mm f/2.8 Nikkor at f/5.6, 1/30s hand held and ISO 6400.